Your RV is an important investment in family travel. Why not extend the life of that investment, by keeping it out of the elements with an RV Cover? We offer options large enough to house the longest RVs next to a small sedan and tow dolly. Keep making travel memories, by protecting your RV. 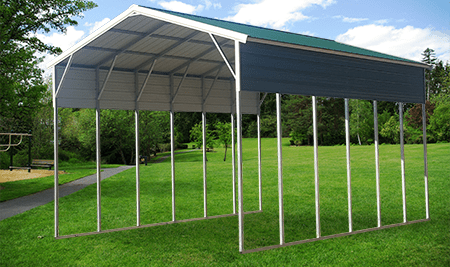 We strongly recommend for customers to close an end to provide better structural stability due to the height requirements for RV Covers.